Good oral health begins at home by brushing and flossing every day, but the care can’t end there. Dental cleanings are an essential part of preventive care. Only your dental hygienist can thoroughly remove the plaque that builds up on your teeth, especially in hard-to-reach areas. Plus, every dental cleaning is accompanied by a dental exam by Dr. Chi Fu. To keep your mouth and gums healthy, visit Chester Hill Dentistry every six months for a dental cleaning and exam. It’s easy to think of a dental cleaning as just another obligation that you don’t really feel like making the time to fulfill. However, spending an hour at your Rye dentist every six months can help keep you out of the dentist’s chair for everything but a cleaning. Your mouth is complicated. Your teeth and gums are an intricate network that fits together snugly. Even the most determined brusher and flosser will miss some spots. And if you miss the same spot repeatedly, the area is susceptible to decay. Left untended, that cavity can turn into an infection, abscess, gum disease, or lead to loss of the tooth while also damaging neighboring teeth. Isn’t it just easier to get a professional teeth-cleaning every six months? Dental problems do not resolve themselves. Cavities don’t go away on their own. Neither do broken teeth. 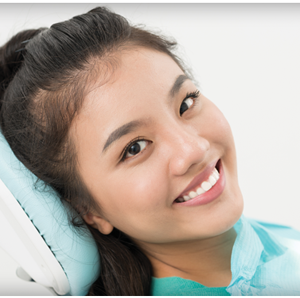 If you have a dental problem, you need a dentist’s expertise to fix it so that you can maintain good oral health and save yourself from invasive restorative dentistry treatments in the future. A dental cleaning gives your dental hygienist and dentist the opportunity to address potential problems immediately before they become big problems. Your Chester Hill dentist sees problems before they start. Dentists can see problems on and within your teeth, problems that you would never recognize on your own. It’s your dentist’s and hygienist’s jobs to get up close and personal with your teeth. They will see hairline cracks, recognize early stages of gum disease and oral cancer, and take x-rays that show cavities or other trouble spots and address them immediately before they become seriously problems. True dental cleanings require the proper tools. Your teeth might look clean and feel clean. You might brush twice daily and floss once a day. You may use mouthwash and drink water religiously. Rest assured, your teeth are clean, but they still aren’t clean enough. Only a hygienist’s specialized cleaning tools can scrape away the miniscule bacteria and plaque that are responsible for tooth decay and other oral health problems. Most dental cleanings take 30 minutes to one hour to complete and are done by a registered dental hygienist. Dental cleanings are painless for most patients and they rarely cause discomfort. The dental exam occurs at the end and will include a thorough review of your entire mouth, gums, tongue, lips, cheeks, and jaw. Typically, once a year, depending on your level of dental insurance, you will have x-rays taken of your mouth. The first step of a dental cleaning is to scale the teeth and remove the plaque and tarter from the tooth surfaces. The hygienist will also clean the gum pockets to remove any visible build-up. 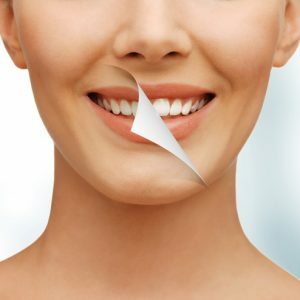 The polishing of the teeth comes next and is done to remove any final plaque and buff your teeth into that lovely, smooth, incredibly satisfying, clean condition. The cleaning will finish up with a thorough flossing, at which time your hygienist may demonstrate the proper flossing techniques and point out areas where you need to floss more carefully. A dental cleaning is the time to ask any questions you have about your oral health and point out problem areas. Your dentist and hygienist will recognize surface problems and address issues that may be developing under the enamel and gums, but only you can make them aware of any pain you may be experiencing. If you are visiting our Rye dental office with your child for a pediatric dental cleaning, proper methods for brushing and flossing will be demonstrated for your child (and for you so you can keep their teeth clean at home). Remember, good oral health contributes to good overall health and wellness. Strong, clean teeth and gums will make you feel better and look better. And, if you’re interested in cosmetic dentistry procedures, a healthy mouth means you have a good foundation on which to build a new smile. If it’s time to schedule your dental cleaning, or if you haven’t gotten a cleaning in quite a while, contact our office to schedule your appointment. We proudly serve the residents of Rye, Westchester, Rye Brook, Port Chester, and surrounding areas, including Greenwich, CT.